Our sponsors are an integral part of our team… none of this would be possible without them. What are you supporting when you sponsor our team? MetalCow Robotics is a 4-H SPIN club that participates in FIRST Robotics Competitions. But it isn't just a robot. It is a small business where members learn digital media, advertising, web design, public speaking, business skills, and leadership. 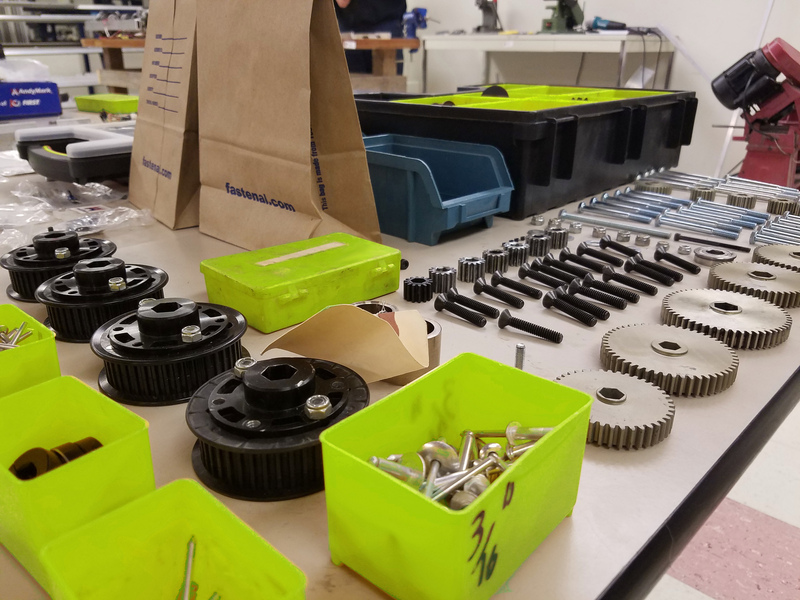 Our mission is to promote science, technology, and engineering in the community while helping students gain real world skills they can use for the rest of their lives. Every little bit helps in our mission to teach career ready STEM skills. MetalCow also accepts in-kind donations. In-Kind sponsors are acknowledged as "Friends of MetalCow" and receive the sponsor benefits commensurate with their donation. Items you can donate that the club would otherwise have to purchase include: office supplies - especially Sharpie markers, pool noodles, hand tools, metal drill bits, printing services, an afternoon of your time to teach a skill. *Contact us for details and information about 3-year commitment bonus!